Jane started writing on a freelance basis for national magazines while teaching Drama and English Literature to A-level in comprehensive schools. A complete change of lifestyle saw her running private yachts in the Mediterranean for several years, which led to travel writing – often undertaken between negotiating protection money with local mafia chiefs and trying to avoid floating mines off the coast of Albania. While teaching Spanish students and the British Army in Gibraltar, Jane had a regular radio slot, writing and presenting features for the British Forces Broadcasting Service. Inspired by a barrister friend she decided to become a solicitor, and after returning to England, remarrying and wondering if she had gone quite mad, she re-qualified. While practising as an employment law specialist, she was the ‘legal eagle’ on a local radio station for three years. She continued to write whenever she could and had more articles published, including in The Times. In 2012 Jane published her first non-fiction book, The Voice From the Garden: Pamela Hambro and the Tale of Two Families Before and After the Great War which in February 2013 was longlisted for the New Angle Prize for Literature; the judges called it “meticulous and captivating”. 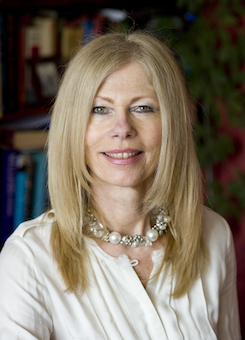 Jane is a member of the Society of Authors and the Biographers’ Club. I came across Andrew in the Writers’ and Artists’ Year Book in 2008 and contacted him about my first book. He responded very quickly and said he thought it was a strong subject. Although he did not take me on at that point, he suggested a publisher that I might approach myself. His encouragement inspired me to continue. I met him a couple of years later when he was still running the Biographers’ Club that he had founded and decided he was the best agent to approach about my proposed book, Duchesses. Two agency authors, Jane Dismore and Juliet Barker, featured at the Yorkshire Post Literary Lunch on 18 December 2014 at Harrogate. Jane Dismore had a book signing last Satruday at Alnwick Garden with the Duchess of Northumberland. 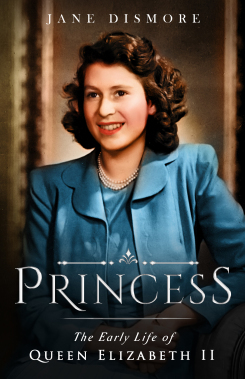 Jane is promoting her new book Duchesses. Jane Dismore has written a long feature for Ireland’s Social and Personal magazine on her new book Duchesses. Jane Dismore has written a fascinating piece in Daily Express, in the course of promoting her new book Duchesses. Jane Dismore launched her new book Duchesses at Hatchards this week. 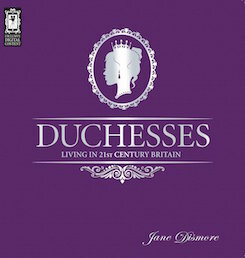 Duchesses – Living in 21st Century Britain by Jane Dismore, published this week by Blink, is serialised in today’s Mail on Sunday.